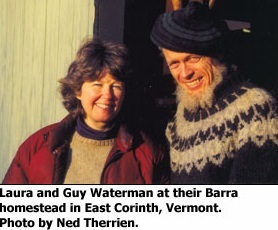 Waterman gave his wife a note and went for one final hike. An experienced White Mountains Winter Hiker, he once again summited one of his favorite hiking spots, the 5,249 foot peak of Mount Lafayette, on Fraconia Ridge in New Hampshire. There. Waterman stayed in sub-zero temperatures with winds approaching hurricane strength. In bitter cold and high winds, he froze to death in a planned suicide. There were several thoughts as to why Waterman took his life. But many agree that it was the death/disappearances of his two older sons, that haunted him. His oldest son William had gone to Alaska to go to college and explore the outdoors. Hampered by an accident that would eventually force him to have a lower amputation of a leg, he last made contact with his father in a letter in 1973 shortly after he graduated college from the University of Alaska at Fairbanks. In the letter, William (Bill) told his father he was going on a lengthy trip and would make contact once he returned. One rumor had it that William was going up to Northern Alaska to spend time with an Inuit Tribe there. No one has ever heard from him since. It is also possible that he fell to foul play, an accident or just chose to leave everyone the twenty one year old knew behind for a new life. It was the disappearance of his middle son, Johnny that had a huge impact on the elder Waterman. Johnny, was a legendary climber known for his routes on Mt. Mckinley (Denali) and a 145 day solo ascent of Mount Hunter. Johnny was a revered mountaineer who had an intensity and desire that some say may have bordered on insanity. 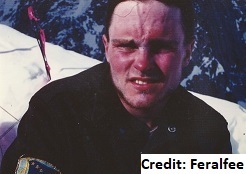 He had lost eight climbing partners and friends to fatal mishaps in the mountains. In March of 1981, Johnny set off a near impossible and more challenging route of McKinley. He left a note in a shelter with some of his equipment. He was last known to be by Ruth’s Glacier but he nor his remains have ever been found. Not quite thirty years old, His disappearance was ruled a suicide. Decades later, the exploits and disappearance of Johnny Waterman remains international Mountaineering lore. Two missing sons, it seems that for all that went through Guy Waterman’s mind before he died, it was the loss of those two that he took with him in disturbing fashion. Aside from the Patriarca family ruled by Raymond Sr. for decades, there were many other non-Italian mobsters that were well known to Law Enforcement in the Ocean State and beyond. The Ouimette Brothers, the Tillinghast brothers, Kevin Hanrahan and Richard Gomes were some of the other feared mobsters but of different ethnic backgrounds. Most of these men are either deceased or behind bars. However, there are several organized crime figures that are still missing because someone wanted them taken out. Thirty three year old Gregory Georgiantes of East Providence and thirty year old Albert Vigneau of Warwick, vanished in October of 1980. Law Enforcement believes the men were killed to serve as a warning to Ken Knowles. Knowles owned a precious metals business and the killings were supposedly due to his infringing on the business of at least one mob-related competitor. They were reported missing the day before halloween when they did not return from a scheduled $5,000 metals purchase in the town of Johnston. The next day, Vigneau’s car was found parked in the lot of a bowling alley near T.F. Green Airport in Warwick. the car had its doors unlocked and windows wide open. Police estimated at least $5,000 in gold and silverware were scattered about on the back seat of the car. It has not been stated if the two were involved with illegal activities or were just innocent victims of mobsters. Knowles wasn’t the only precious metals dealer that had problems with the mob. William E. Tella of Johnston, was a gold and jewelry dealer. He also had a criminal record for offenses such as receiving stolen goods, stealing precious metals and federal income tax evasion. He was last seen by his wife on April 8, 1980, as he watched television in his house. He vanished the next day and his car was found five months later at Logan Airport in Boston. It is possible that he was killed but he could have voluntarily disappeared. Who could blame him? Apparently a month before he was last seen, he told police someone had strapped a bomb to the underside of his van. Years earlier in 1975, a convicted loan shark named Richard Taglianetti of Johnston vanished sometime during the month May in 1975. He wasn’t the only family member to run afoul of organized crime, in February of 1970, his uncle Louis “The Fox” Taglianetti, and his girlfriend, Betty McKenna were shot to death outside an apartment building in Cranston. Twenty three year old Rocco A. “Rocky” DeCiantis Jr. of Providence vanished in October, 1978 while awaiting trial on charges for robbery. The Providence Journal reported that he may have been eliminated for talking too much about certain criminal activities. On October 3rd of 1977, twenty-eight year old Ronald R. Leone, of Johnston and seventeen year old Rudy Baronet, of Cranston were shot to death in an apartment at 69 Mount Pleasant Avenue in Providence. Though a man was convicted of the crime, the two victims who were allegedly put in sleeping bags have never been located. For the younger Baronet, who was not an intended target, he was at the wrong place at the wrong time.